Joe’s twin brother has disappeared, and his brother’s girlfriend, Julia, takes eighteen-year-old Joe on a road trip that changes his life. 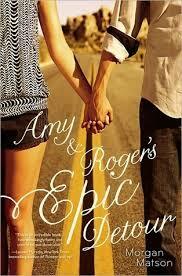 When Morgan’s mom gets sick, she takes a road trip with her friends to find her real dad. Numb after the death of her best friend, Camille, Kinsey starts to shut down but Hunter, Camille’s mysterious boyfriend, has other ideas and whisks Kinsey off on a multi-state road trip to forget the ghosts of their pasts and their own fears. Tired of being sheltered from humans, seventeen-year-old Boy, son of Frankenstein’s monster and the Bride of Frankenstein, runs away from home and embarks on a wild road trip that takes him across the country and deep into the heart of America. In the summer of her junior year, sixteen-year-old Ruby McQueen and her mother, both nursing broken hearts, set out on a journey to reunite an elderly woman with her long-lost love and in the process learn many things about “the real ties that bind” people to one another. On the eve of her sixteenth birthday, Erin receives her long-dead mother’s diary, which reveals that she too revered Harper Lee’s “To Kill a Mockingbird” and wanted to be a writer, and Erin impulsively decides to take the Greyhound bus from St. Paul, Minnesota to Monroeville, Alabama, to visit the reclusive author. Looking for Love? Find it in teen novels! This time of year seems to make everyone feel good about falling in love! Whether you are already in love or are looking for love, checkout some of these teens titles for a feel good read! Far away from the everyday. Closer to making dreams come true…What does summer mean to you? For the two teenage girls in these two unforgettable novels, summer means being torn away from the familiar and finding new friends. When Anna’s father sends her to an American boarding school in Paris for her senior year of high school, she reluctantly goes, and meets a boy who becomes her best friend, in spite of the fact that they both want something more. 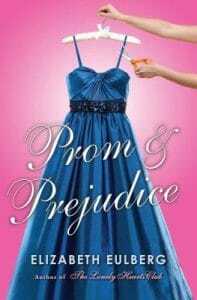 When wealthy, seemingly perfect Brittany and Alex Fuentes, a gang member from the other side of town, develop a relationship after Alex discovers that Brittany is not exactly who she seems to be, they must face the disapproval of their schoolmates–and others. Handsome and popular Jason tries to come to terms with his irascible, often absent father and his growing attraction to the quiet, studious Kyra. When her boyfriend, Tristan, died, Ivy thought she’d lost everything, even her faith in angels. But now she’s discovered that he’s her guardian angel–his presence so strong that she can feel the touch of his hand, the beat of his heart. Ivy needs Tristan now more than ever because he knows she’s in terrible danger. Only Ivy’s guardian angel can save her, now that his killer is after her. 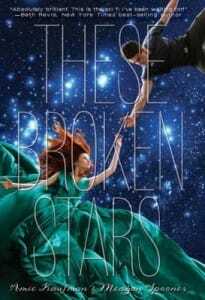 But if Tristan rescues Ivy, his mission on earth will be finished, and he must leave her behind forever. Will saving Ivy mean losing her just when he’s finally reached her again? Raised by a mother who’s had five husbands, eighteen-year-old Remy believes in short-term, no-commitment relationships until she meets Dexter, a rock band musician. When bad-boy Penn reaches out to cautious Harper, a tumultuous relationship blossoms, and the two learn that their bond may not be strong enough to overcome their obvious differences. After accepting a trip to Europe as a bribe from her parents to attend the college of their choice as a business major, seventeen-year-old Lucy discovers she’s unwilling to give up her dream of being an actress–or Jesse, the boy she met in Italy. When the passive strategy she has always adopted proves injurious to her heart’s goals, ordinary girl Wren inadvertently saves the life of expelled lacrosse player Grayson and embarks on an awkward romance that compels both to start over. Perfect strangers Graham Larkin and Ellie O’Neill meet online when Graham accidentally sends Ellie an e-mail about his pet pig, Wilbur. The two 17-year-olds strike up an e-mail relationship from opposite sides of the country and don’t even know each others first names. What’s more, Ellie doesn’t know Graham is a famous actor, and Graham doesn’t know about the big secret in Ellie’s family tree. When the relationship goes from online to in-person, they find out whether their relationship can be the real thing. The summer after graduating from an Iowa high school, eighteen-year-old Dade Hamilton watches his parents’ marriage disintegrate, ends his long-term, secret relationship, comes out of the closet, and savors first love. Kate has never had a boyfriend. 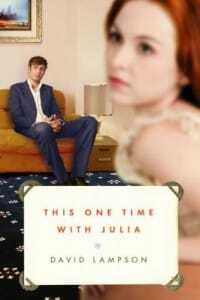 But while crashing at her mother’s wealthy friends’ home at Cape Cod for the summer, Kate meets Adam. But when her breezy summer romance with Adam becomes more complicated, Kate asks herself if she is girlfriend material. While on vacation in California, sixteen-year-old best friends Anna and Frankie conspire to find a boy for Anna’s first kiss, but Anna harbors a painful secret that threatens their lighthearted plan and their friendship. 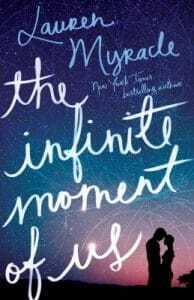 When seventeen-year-old high school students Veronica and Dessy go to Prague to attend a summer writer’s program for college students, they experience romance, conflicts, and, ultimately, the strengthening of their friendship. When two of sixteen-year-old Pete’s childhood classmates disappear from a carnival the same night, he is a suspect, but his own investigation implicates other old friends he was with that evening–and a tough, knife-wielding enemy determined to keep him quiet. Decades after the filming of a horror movie is halted in the wake of three actor deaths and rumors about a haunted set, Claire, the daughter of a failing studio head, helps with a production on the same site. Fifteen-year-old Matt and his two best friends Sean and Coop, the least athletic swimmers on the local swim team, find their much anticipated summer vacation bringing them nothing but trouble with unsucessful schemes to see a live naked girl and with Matt, eager to impress the swim team’s “hot” new girl, agreeing to swim the 100-yard butterfly. After spending her summer running the family farm and training the quarterback for her school’s rival football team, sixteen-year-old D.J. decides to go out for the sport herself, not anticipating the reactions of those around her. Recent high school graduates Lil and Josh leave Illinois for Oregon seeking Lil’s sort-of friend Penny, who faked her own kidnapping to escape problems at home and an abusive boyfriend, but Lil also wants to find out if she and Josh are meant to be more than friends. 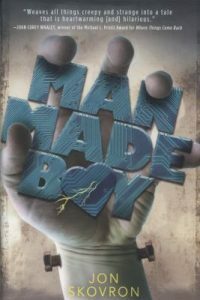 Plagued by Tourette’s syndrome and a stepfather who despises him, Sam meets an old man in his small Midwest town who sends him on a road trip designed to help him discover the truth about his life. Jenna Boller, the star employee at Gladstone’s Shoe Store in Chicago, is a very tall sixteen-year-old who really stands out in a crowd, but when Madeline Gladstone hires Jenna to drive her cross country to save her business, she learns the rules of the road, as well as the rules of life. Anabelle and her fellow high school graduates navigate their way through a disastrous summer of love and friendship in the small coastal town of Normal, Maine. When their fathers insist that they get summer jobs, three fifteen-year-old friends in Tacoma, Washington, dedicate their summer vacation to fooling their parents into thinking that they are working, which proves to be even harder than having real jobs would have been. 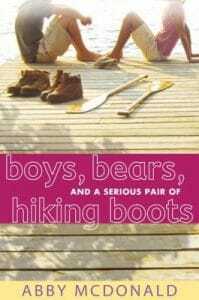 Seventeen-year-old Jenna, an ardent vegetarian and environmentalist, is thrilled to be spending the summer communing with nature in rural Canada, until she discovers that not all of the rugged residents there share her beliefs. When her father divorces her beloved stepmother and leaves her without her stepsister, Tess, Harper decides to join a volunteer organization to build houses for tornado victims, but struggling to figure out her role in the mix upon her arrival, Harper is befriended by Teddy who inspires her to love and trust once again. Just out of school for the summer, the last thing that Lillian expects is to have a cryptic message from her friend Penny waiting for her on her phone. “I did it,” is all that the message says. It turns out that Penny has faked her own kidnapping. The only thing Lillian can think to do is hop in the car with her best friend Josh (who she also has had a huge crush on forever) and try and track down Penny on a road trip across the country. 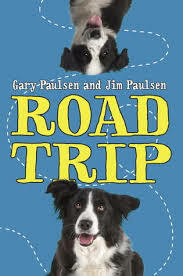 Complete with random stops at places like the Mars Cheese Palace, the Mitchell Corn Palace, and the Enchanted World Doll museum, Lily hopes this road trip will finally determine once and for all if she and Josh can be more than just friends. Halpern does a great job of presenting serious issues with a humorous twist; this novel is laugh out loud funny. One interesting aspect of Don’t Stop Now is that Penny has a very hard home life and is in an abusive relationship, issues that prompt her to stage her kidnapping. You get Penny’s point of view in alternating diary entries that balance the lighter road trip narration provided by Lillian. 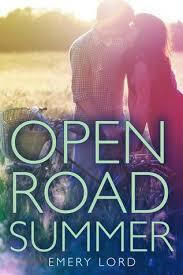 The road trip, some drama, and a maybe romance all combine to make this a great summer read!